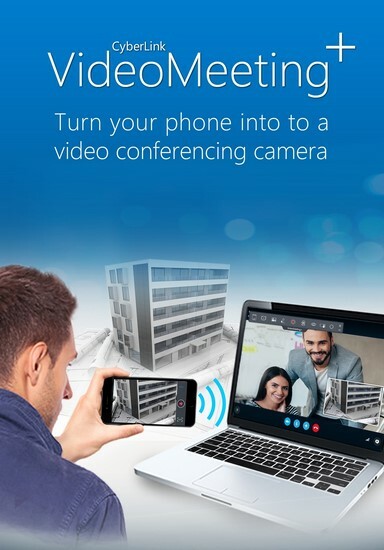 Add freedom and flexibility to your video meetings by turning your phone into a second video camera! Present whiteboards and other additional visuals more effectively. Show both mobile and computer feeds with our Dual Video feature. Improve clarity of whiteboards and screens with freeze frame and skew correction. Compatible with Skype, Hangouts, Join.me, GoToMeeting, and WebEx. And much more! - Show whiteboards, demos and more by adding a mobile camera feed. - Augment discussions by sharing your computer desktop. - Enhance viewing with our freeze frame and skew correction features. - Add visual enhancements to clarify and improve your image. - Annotate content to highlight important points. - Get more from your meeting by recording content for later review. - Integrate with common video meeting applications with a few clicks. - Activate mobile camera feed instantly with a simple QR code scan. - Access recording, enhancements and more with a single click. - Note: VideoMeeting+ is also optimized for current Intel? Core? processors featuring Intel Quick Sync video technology. Languages: English, French, German, Italian, Spanish, Chinese (Simplified), Chinese (Traditional), Japanese, Korean.